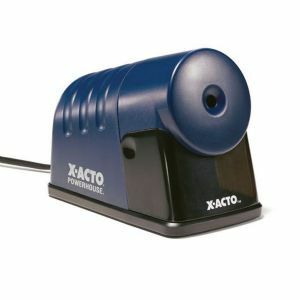 X-ActoÂ® PowerHouse Heavy-Duty Commercial Grade Electric Pencil Sharpener - For hard-to-sharpen composite and recycled pencils, as well as standard size wood pencils. Quiet operation. Pencil-Saverï¿½ prevents oversharpening and Auto-Reset eliminates motor burnout. Heavy-duty motor designed for durability, with a 2-year limited warranty.